Looking for a great florist in La Grange, IL? Our award-winning, full-service, family flower shop in La Grange, and our nine other suburban Chicago locations, serve La Grange and surrounding communities with the finest in same day and next day local flower delivery, as well as nationwide and worldwide flowers by wire. 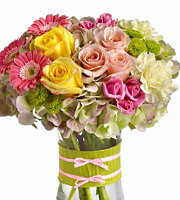 We specialize in custom designs, wedding flowers, plant gifts, and beautiful sympathy expressions, too. Satisfaction guaranteed. Since 1923. 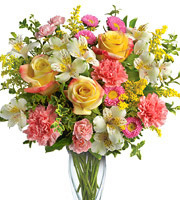 Send flowers in La Grange and all surrounding communities with Phillip's florist, your family-owned, full-service local florists serving La Grange, La Grange Park, and La Grange Highlands, IL for more than 50 years. Located on LaGrange Road just north of Ogden Avenue, our La Grange flower shop is renowned for its beautiful roses, ready-to-go fresh flower bouquets, custom floral arrangements, exceptional wedding flowers and event decorations, funeral flowers, and long-lasting plant gifts, too. 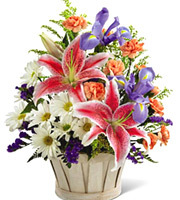 And, with nine other full-service Chicagoland locations, Phillip's provides daily flower delivery to the city and more than 150 suburbs, including Bellwood, Broadview, Brookfield, Countryside, Hodgkins, Indianhead Park, Lyons, McCook, Riverside, Westchester, and Western Springs, as well as La Grange, Illinois. Ranked in the top 1% of North American florists by both FTD and Teleflora, Phillip's also serves all area hospitals, hotels, and banquet facilities, including La Grange Memorial Hospital, Loyola Medical Center, MacNeal Hospital, and the William Tell Holiday Inn Banquet Hall. 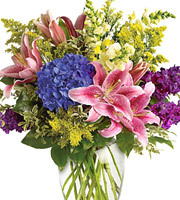 Our La Grange flower shop also delivers to Hitzeman Funeral Home, Hallowell and James Funeral Home, and Broadview, Tower, Ivins, Conboy, Westchester, and Merker funeral homes. In fact, in the greater La Grange area, Phillip's delivers virtually everywhere in zip codes 60153, 60154, 60155, 60513, 60525, 60526, 60534, 60546, 60558 and far beyond. So, for beautiful fresh flowers, local delivery, and award-winning personal service call or visit Phillip's Flowers, or order online today. For additional information or assistance, dial 1-800-356-7257, call our La Grange flower shop directly at 708-579-2255, or visit us at 515 N. La Grange Rd., La Grange, IL . We look forward to serving you in any way that we can.